Your March selection includes new books by Joyce Rupp, Richard Rohr and Joan Chittister. There are also books on delving deeper into the Bible, being closer to God and social issues. 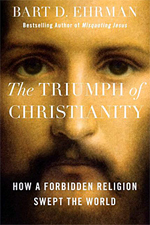 Bart Ehrman’s Triumph of Christianity is now out in paperback. 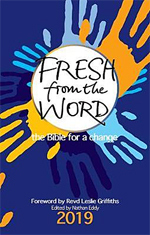 And we’ve reduced the price of Fresh From the Word 2019 from $29.99 to just $18.00 – 9 copies only at this price. Creating a Way of Life. “Living compassionately is rarely convenient and often downright challenging,” writes Joyce Rupp, bestselling and award-winning author and retreat leader. 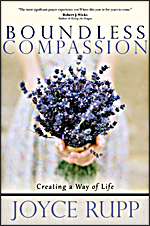 This definitive Christian guide to compassion, is the culmination of Rupp’s research and work as codirector of the Servite Center of Compassionate Presence. Through this six-week personal transformation process for developing and deepening compassion, Rupp nudges, encourages, and inspires you to grow in the kind of love that motivated Jesus’ life and mission for his disciples. With master teacher Joyce Rupp, you will learn to develop compassion as never before. You will discover compassion from science, medicine, theology, spirituality, sociology, and psychology. You will be encouraged to explore personal and professional expressions of compassion, and to re-energise your ability to offer loving kindness to those around you. Meeting the Paschal Mystery in the People Around Us. Albert Holtz; Daniel Partain (Illustrator). Using vignettes set in or near his monastery in downtown Newark, New Jersey, Benedictine monk Albert Holtz helps us to see that the Easter mystery, which can often seem abstract and distant, is in fact present all around us. 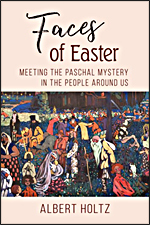 As we accompany him through the fifty days of the Easter season, we listen in on his intriguing interactions with local street people and his inner-city high school students – an insider’s look at what goes on in a monk’s heart as he chants Vespers to the sound of police sirens. Anyone wishing to deepen his or her experience of the Easter mystery will find this a valuable and engaging book. Daily Wisdom for Inspiration and Guidance. Joyce Rupp; Kathy Reardon ed. 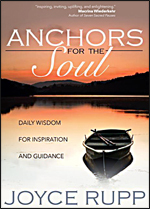 Anchors for the Soul brings together prayers, poems, blessings, and meditations from Rupp’s many other books from her 30 years of writing and offers daily wisdom that will guide you and keep you anchored to God throughout the year. She walks with you as you experience grief, embrace stillness, and see in your daily life the fingerprints of the Divine. She helps you welcome new life, practice selfless acts of kindness, and remember the gift that is the people in your life, all the while showing you glimpses of the heart of God. Walking the Songlines of Holy Scripture. O’Driscoll, beloved Anglican preacher, storyteller, author, and hymn writer, invites us to imagine what the “back story” of our favourite scriptures might have been. By doing Christian midrash – telling the stories within the Story – he has filled in the gaps by creating new homilies and parables based on the text. 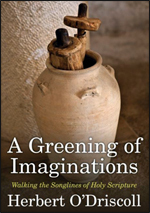 Each of the 28 short chapters offers a glimpse of the thoughts and emotions of individuals found in the Christian Testament, bringing alive the sights, sounds, and smells of the Holy Land. 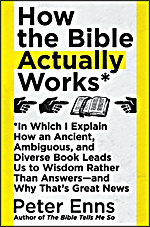 In Which I Explain How an Ancient, Ambiguous, and Diverse Book Leads Us to Wisdom Rather Than Answers—And Why That’s Great News. There is no one right way to read the Bible. Moving us beyond the damaging idea that “being right” is the most important measure of faith, Enns’s freeing approach to Bible study helps us to instead focus on pursuing enlightenment and building our relationship with God – which is exactly what the Bible was designed to do. “Inviting, accessible, lively, provocative and best of all, highly educational, Peter Enns new book will clear up many misunderstandings you have about the most important book in the world and, in the process, move you closer to the book’s ultimate focus: God.” James Martin, SJ, author of Jesus: A Pilgrimage and The Jesuit Guide. This is a history of modern Palestine like no other: built from the testimony of people who have lived through it. Baroud gathers accounts from countless Palestinians from all walks of life, and from throughout the decades, to tell the story of the nation and its struggle for independence and security. Through these first-hand reports—by turns inspiring and terrifying, triumphant and troubled—we see Palestine in all its complexity and contradictions, ever vibrant in the memories of the people who have fought, physically and otherwise, for its future. 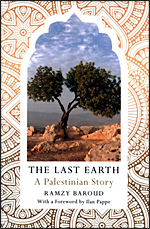 A remarkable book, essential to understanding the struggles in the contemporary Middle East. How a Forgotten Reality Can Change Everything We See, Hope For, and Believe. 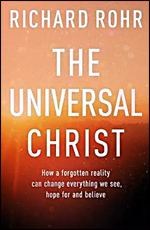 Drawing on scripture, history and spiritual practice, Rohr articulates a transformative view of Jesus Christ as a portrait of God’s constant, unfolding work in the world. “God loves things by becoming them,” he writes, and Jesus’ life was meant to declare that humanity has never been separate from God – except by its own negative choice. When we recover this fundamental truth, faith becomes less about proving Jesus was God, and more about learning to recognise the Creator’s presence all around us and in everyone we meet. Thought-provoking, practical and full of deep hope and vision, this is a landmark book from one of our most beloved spiritual writers, and an invitation to contemplate how God liberates and loves all that is. 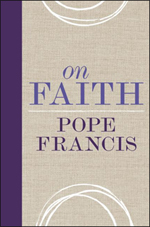 Drawing on examples of faith from the Old and New Testaments, as well as examples from his own life of faith at work in the world, Pope Francis demonstrates that faith, like hope, is rooted in love. These 100 entries brings us Pope Francis’s encouragement to live our faith as individuals and in community. 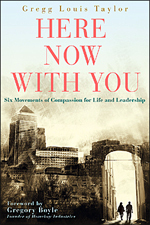 Six Movements of Compassion for Life and Leadership. What every day experiences open the door to compassion’s movement in our lives? How do we recognise and embrace such encounters to cultivate rich expressions of “compassionating” lives and leadership? By learning to be compassionate just as God is, we become more authentically connected to one another and expand our awareness of the God who is always here. If you find yourself stymied by a spirituality gone stale, mired down from going through religious motions, and yet suspect there is much more, this book is for you. 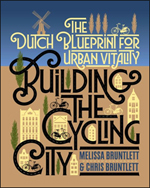 The Dutch Blueprint for Urban Vitality. The authors share the incredible success of the Netherlands through engaging interviews with local experts and stories of their own delightful experiences riding in five Dutch cities. Discover how Dutch cities inspired Atlanta to look at its transit-bike connection in a new way and showed Seattle how to teach its residents to realise the freedom of biking, along with other encouraging examples. Meditations for When You Have a Minute. 140 witty, wise, and powerful meditations on the New Testament are presented in the perfect form for readers with busy lives who sometimes find that there is not enough time in the day to focus on their spiritual well-being. 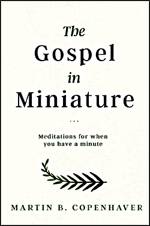 Martin Copenhaver feels their pain and has packed this volume full of insight into the teachings of Jesus that anyone, no matter how busy, can find the time to digest, reflect on, and enjoy. A scripture and a prayer also accompany each meditation. An Atlas of Ocean Pollution. Plastics have transformed every aspect of our lives. Yet the very properties that make them attractive – they are cheap to make, light, and durable – spell disaster when trash makes its way into the environment. This is a beautifully-illustrated survey of the plastics clogging our seas, their impacts on wildlife and people around the world, and inspirational initiatives designed to tackle the problem. 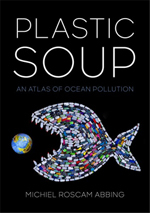 With striking photography and graphics, Plastic Soup brings plastic pollution to brilliant life for readers. Brother Lawrence of the Resurrection (c. 1614–1691) served as a lay brother in a Carmelite monastery in Paris. He is remembered for the intimacy he expressed concerning his relationship to God as recorded in this classic Christian text. A Call to Uncommon Courage. Beloved nun and social activist Joan Chittister has been a passionate voice for women’s rights for over 50 years. 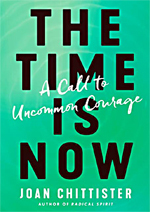 In this compact book, which pairs scriptural insights with stirring narratives of the truth-tellers that came before us, she offers a compelling vision for readers to combat complacency and to propel ourselves toward creating a world of justice, freedom, peace, and empowerment. “As always, Joan has put her finger and her pen to the right and needed words.” Richard Rohr, O.F.M. Hope for People Who Are Weary of Violence. The authors transcend old debates about gun control to offer a creative and productive response. Full-colour images show how guns are being turned into tools and musical instruments across the nation. With less than 5% of the world’s population, the people of the US own nearly half the world’s guns. America also has the most annual gun deaths at 105 per day, or more than 38,000 per year. (This is a growing issue in New Zealand too.) Some people say it’s a heart problem. Others say it’s a gun problem. The authors of Beating Guns believe it’s both. 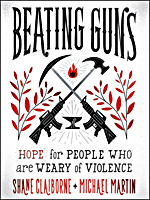 Beating Guns allows victims and perpetrators of gun violence to tell their own compelling stories, offering hope for change and helping us reimagine the world as one that turns from death to life, where swords become ploughs and guns are turned into garden tools. How a Forbidden Religion Swept the World. NOW IN PAPERBACK. Christianity didn’t have to become the dominant religion in the West. It easily could have remained a sect of Judaism fated to have the historical importance of the Sadducees or the Essenes. Ehrman, a master explainer of Christian history, texts, and traditions, shows how a religion whose first believers were 20 or so illiterate day laborers in a remote part of the empire became the official religion of Rome, converting some 30 million people in just 400 years. He combines deep knowledge and meticulous research in an eye-opening, immensely readable narrative that upends the way we think about the single most important cultural transformation our world has ever seen—one that revolutionised art, music, literature, philosophy, ethics, economics, and law. A Memoir of Hong Kong. 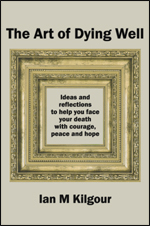 “A delight to read and with helpful pictures of the historical events and people. I learnt not only about Nancy’s Interesting life, but about the history, culture and customs of Hong Kong. 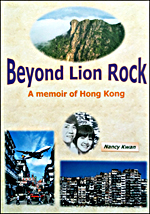 The island city of Hong Kong has seen many changes since the Second World War and Nancy’s life has been so much a part of these that she can write as an observer, capturing the events as they affected her. Inspire your reading of the Bible in a changing world with our most popular daily devotional annual. Bringing together top theologians and biblical scholars, creative writers from around the world, cutting-edge church leaders, activists for peace and justice and a range of others, this book offers 365 sets of notes, prayers and suggestions for action on biblical themes. The Impact of Church Consultancy. 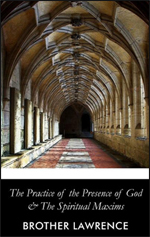 This book follows the journey of ten churches who underwent church consultancies and explores in depth both the consultancy and its outcomes. Pre-consultancy and post-consultancy “snapshots,” four to five years apart, of vitality indicators and attendance figures (using National Church Life Survey and other data) are used to compare these with churches that have not undertaken church consultancies. Theologies of church consultancy, church health, and church growth are also developed and examined, intersecting with a wide body of literature, including contemporary ecclesiologies. Consultancy outcomes are examined in detail. This includes interviews with pastors of some of those churches, reflecting on their perceptions of whether and how the church consultancy impacted the health and growth of their church. 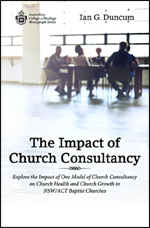 Conclusions are drawn about the efficacy of church consultancy in influencing the health and growth of churches, as well as contexts for the best use of church consultancy. 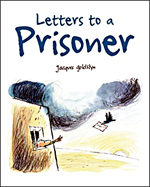 Told entirely through illustrations, Letters to a Prisoner is a wordless story about the power of hope and the written word. Inspired by Amnesty International’s letter-writing campaigns to help free people who have been jailed for expressing their opinion, the book tells the story of a man who is arrested during a peaceful protest. Suitable for Ages 8-12. In solitary confinement, he begins to despair– until a bird delivers a letter of support written by somebody outside the prison. Every day more letters arrive until the prisoner escapes his fate on wings made of letters. Simple illustrations convey plenty of rich symbolism to provoke thought and discussion. A letter from the author provides more information about Amnesty International’s Write for Rights campaign.